This week I discuss what I keep hearing about, "The Event." Have you heard about that? According to some websites there is going to be an "Event" that may happen soon that will wake up many. Some have said it is a powerful influx of light (love) that will effect each of us and we will never be the same. Many will have a great awakening, some will be confused. Either way, it doesn't hurt to talk about it so that if and when it does happen it won't be overwhelming. If there is any truth in this, how should we respond? Probably by not overreacting to anything and keeping an open mind. 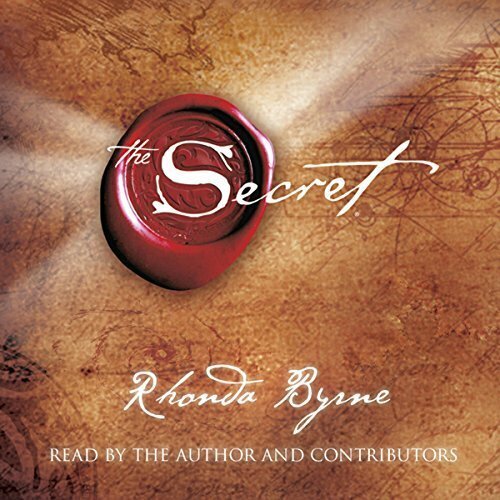 This leads to my second topic this week regarding The Secret and the Law Of Attraction. My point is whatever we focus on we're going to get more of. How many of you read about or saw The Secret? Did you know there were 2 versions of that movie? I saw the first one with Ester Hicks, in the second one she was replaced, I always wondered why that was. Frankly I loved the first one, I thought the second one was okay but seemed to be lacking something the first movie had. This week I share some audio (courtesy of You Tube) of Esther and Abraham talking about this. Did you know that the movie The Secret was based on the channeling of Esther Hicks with an entity called Abraham? Who is Abraham? I understand this being called Abraham to be a group of souls that exist on another level of consciousness, some would say a higher level than we are on. Is it possible for humans to allow another consciousness to speak through them? I believe it is, I've seen it time and again, I've had guests on who do that as well. At first it frightened me years ago, but now I think it is a very natural thing, we all probably do it from time to time. Throughout history many have said they felt they were tapping into something greater when they came up with an answer to something, some feel that an energy was working through them. If the brain is a transmitter and receiver, then can we pick up other frequencies if we know how to step aside and allow it? Look at John of God, the great healer in Brazil. He believes he's channeling great surgeons who came before him, along with angels, that allow him to help others heal themselves. So why are there 2 versions of The Secret? I believe it was done deliberately because there are some that just don't want the truth to come out, so they do watered down versions of the truth. Either way the truth comes out and I beleive when you're ready for more you will seek more and more will be revealed, at least that's what has worked for me. I believe there are many levels of consciousness, and many different energies that are traveling their own path of spiritual evolution and maybe their insight is a little more clear than ours since we are at the lowest level of consciousness living in a physical body. My experience is that those who are of the light are here to serve, we only have to ask. If you go back in my archives you will see that we've channeled many different energies and most had a similar message of unconditional love. The film includes interviews with individuals who describe themselves as professionals and authors in the fields of quantum physics, psychology, metaphysics, coaching, theology, philosophy, finance, feng shui, medicine, and personal development, who are called "secret teachers". Some of them, on their Web sites, promote the film and their connection to it. A few of the persons brief appearances do not speak of the "law of attraction" in their interviews, so their support of the concepts is assumed by viewers. Persons who focus on the law of attraction who are interviewed in the film and have later been featured on prominent American TV shows are John Assaraf,Michael Beckwith,John Demartini,Bob Proctor,Jack Canfield,James Arthur Ray, Joseph Vitale,Lisa Nichols, Marie Diamond, and John Gray. Others involved in the film who have spoken of their strong belief in the Law of Attraction, include Esther Hicks and Jerry Hicks (original edition only),Mike Dooley, David Schirmer, and Marci Shimoff. Others interviewed in the film who voice very similar views without using the phrase "law of attraction" include Lee Brower (Board Member of WorldVuer), Hale Dwoskin, Bob Doyle, Cathy Goodman, Morris E. Goodman, John Hagelin, Bill Harris, Ben Johnson,Loral Langemeier, Denis Waitley, Neale Donald Walsch, John Gray and Fred Alan Wolf. I highlighted Neale Donald Walsch because he wrote books where he "channeled" God. Conversations With God is one of his most popular books. What happened to Out There, has it been replaced this week? Aren't you doing a show about sasquatch or ufo's? It seems like I go on a roll and do several shows about one topic or another, I guess it just depends on what the universe sends me. A couple of months ago I contacted Rosa Gardiner regarding work I had to do for my other job, the radio station. Rosa's group had received a grant and my job was to interview her for a client and produce a commercial. I like talking to people, I like to hear what they have to say, I care about others. Why am I so curious? I know it's part of my purpose for being here. There was a point where I was close to walking away from radio when "The Universe" lined things up for me after I had given up all hope. At the time I didn't realize it, but now I know this is part of my journey, it would allow me to meet people like Rosa and if I'd just take the time to listen and ask questions I could learn a lot. And I did. I didn't know how breastfeeding was so beneficial to both mother and child in their overall health. There is research that shows many illnesses may not occur if a child is breastfed. It just makes sense because it is natural, and as I've discovered with many guests on my show, natural always seems to be better. Today's mothers are so busy maybe they don't feel they have time. Rosa is here to help if you make the choice to breast feed. She is very qualified and also draws on her own experience. Many have been conditioned to think that formula is the best way to go, research suggests that the natural way is the best. Not everyone may feel that way, we understand, no one should feel pressured. Below are a couple of sites you can use to contact her. This is just my own opinion, I believe that if there's money to be made then there are those who are willing to push aside what's best for our health and try to convince us otherwise. Right now we seem to have an epidemic of illnesses, and there are probably many factors but maybe one reason is that as a nation we stopped breastfeeding our children. That's why I did this show because in my mind it lines up with many topics that are hidden or forgotten. Rosa was a joy to talk to, a very pleasant soul. This week I co host a show with my dear soul sister Joy Melchezidek and we interview Flo Aeveia Magdalena on the story of how she wrote her book "I Remember Union." I read the book about 5 years ago and felt much of it rang true. It is the story of Jesus and Mary, although you probably haven't heard this one before. The book was published in 1992 and Flo told us she spent 3 years channeling all of the major players from that time period prior to writing the book. She felt like she was being guided and that she had a connection to that time period and Mary Magdelene. Flo was told that she was an aspect of Mary, not that she was the physical reincarnation of Mary, but a connected consciousness to her. Could that explain why so many feel connected to that time? Could it also explain why many feel they came back now to advance the message and help us remember? Could this be part of the great awakening that is going on now? I've always felt there was more to Mary Magdalene than we were told. Even Judas. I feel the events of 2000 years ago were orchestrated to wake us up. The timing wasn't right, but like experiences in my own life, it was being set up for a later date, a date when great changes would come to the planet and there would be the return of the Divine Feminine so that we can balance out the planet and ourselves. Some of you may wonder what is the purpose of finding balance and I would say it's who we are as beings and we can't move forward in our spiritual evolution until we do. Paul Blake Smith is my guest this week, originally from Cape Girardeau Missouri, home of the first UFO crash and cover up in 1941. Um...don't you mean Roswell in 1947? No, many believe there was a crash that took place in 1941 that many of the locals witnessed and that was covered up shortly after. To be honest I had never heard of this event until the last couple of years. “The Reverend William Huffman, who was the minister there, was called by the local sheriff to come assist in delivering some sort of last rights at a plane crash. That’s what the Reverend was under the impression that he was going to do. A car arrived at his house which was nearby [the current Redstar Baptist Church location] and they drove about 18 miles or so outside of Cape Girardeau closer to the Chaffee area. When they showed up on the scene, it was not a plane crash, it was, allegedly, a flying saucer, a classic silver, round disk that had crashed, that had started a fire. There were police and fire there to take care of the scene, put out the fire on a local farmer’s field," Huntington said. "The Reverend arrived and saw a classic flying disk with part of the side ripped open and two alien bodies that were at least dead and one that may have been dying, may have been alive, couldn’t breathe," he continued. "The Reverend looked inside of the flying saucer and saw wires and components of some sort of alien design. There were strange hieroglyphics and bizarre knobs and dials. The Reverend knew that he couldn’t really give the last rights. About that time, the army air corps arrived from Sikeston Field and cordoned off the area and swore everybody to secrecy and confiscated any pictures. There were pictures allegedly taken that night of men holding one of the alien bodies and somewhere out there are those pictures." What makes each of us believe in the things that others may not believe in? I find with many of my guests that it is an experience that changed their life, many would say that it was part of a greater plan, maybe even destiny. My guest this week is Rich Meyer who at one time didn't believe that Bigfoot existed. Growing up Rich spent a lot of his time hunting in the deep woods with his father, they were very close. It was only after his father passed that Rich discovered the reason his father loved going into the deep woods, in part, it was to search for the legendary creature called Bigfoot. 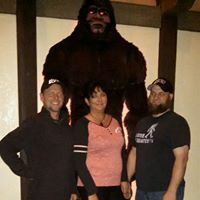 Rich caught his father's passion and began his own search and formed the Upper Peninsula Bigfoot Sasquatch Research Organization. Remember the Patterson film from 1967? Rich got to meet one of the two men that were involved in that incident and shares that experience. He also shares what he's learned by investigating eye witness reports, surpisingly there have been many reports that the public just doesn't hear about. While it seems more are accepting the possibiliy of their existence, there are still many doubters and naysayers. Witnesses are just afraid to come forward for many reasons. In the end I think we are finding less and less resistence and fewer people making fun of these kinds of things, the world and people's attitudes are changing. The truth is coming out and as I always say, it is part of this great change we're going through that will allow all truths to come forward. I've always been a believer, I don't know why, maybe I'm just gullible, but I've always kept an open mind to all possibilities. I heard years ago that Sasquatch can pick up our thoughts, animals can, we can as well. This is one way I believe they can avoid us. Why is there never any evidence? I think back to a story Linda Godfrey told me about her investigation involving the Dogman/Manwolf, they had just recorded something on video and locked the video in their van to do more investigating. It was late at night and when they eventually returned to the vehicle the evidence was gone. Now who do you think took that? And why did they do that? Perhaps if we found all of the hidden truths it would crumble the established concepts and beliefs...and that might actually set us free.